Tuesday Nov. 27 at Salve Regina University, Newport from 9:00 a.m. – 7:00 p.m.
Wednesday, Nov. 28 at the Cambria Hotel, Newport from 8:00 a.m. – 7:30 p.m.
Thursday, Nov. 29 at UMass Dartmouth (CIE) from 10:00 a.m – 12:00 p.m. The Blue Innovation Symposium is the premier event in New England for connecting the marine technology industry for education, networking and facilitating partnering opportunities. Held for the first time in Newport, Rhode Island, the theme for this year’s event is “The Ocean, Data and You”. The symposium will have a focus on data analytics and cybersecurity initiatives. 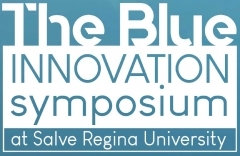 The Blue Innovation Symposium is being organized by Salve Regina’s Office of Graduate Studies and Continuing Education as part of our effort to connect the University with industry, organizations, state and federal agencies, and other key stakeholders in order to grow the region’s economy. Follow this link for more information and agenda.